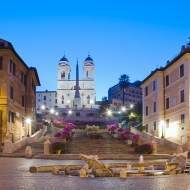 Relais Le Clarisse is located in Trastevere, a lively and bohemian neighborhood in the heart of Rome, where the placid morning rhythms belonging to workshops and markets alternate with the vibrant and charming evening atmosphere. 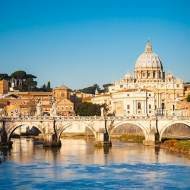 The narrow alleys of the area are filled with taverns, fine restaurants and cafés, art galleries and libraries, squares and high valued monuments such as the church of Santa Maria in Trastevere, one of the most ancient and beautiful churches in Rome. It is possible to reach the historical centre of the city with just a short walk, or taking advantage of the frequent and comfortable tram n°8, stopping right outside the entrance of Relais Le Clarisse. 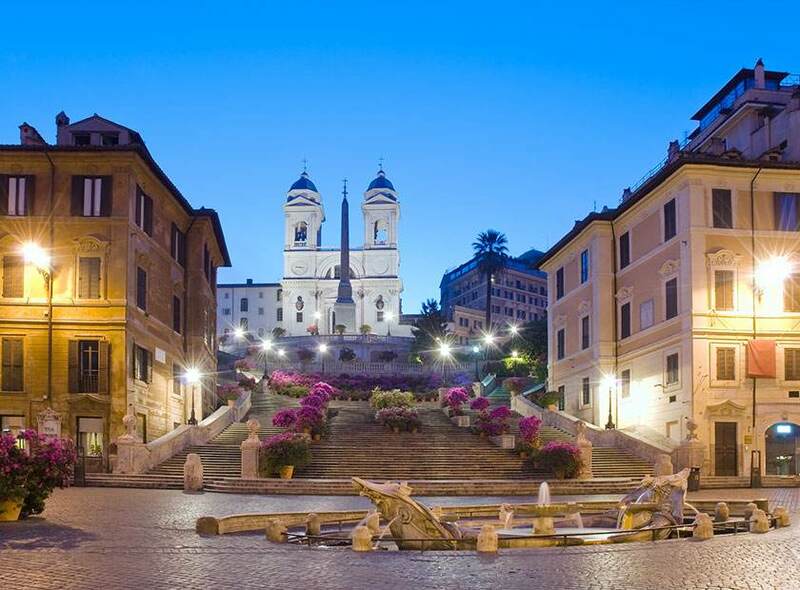 Relais Le Clarisse is located in Trastevere, but not inside the restricted traffic zone. You are able to reach it by car from Viale Trastevere, without running into electronic gates, which you have to pay attention to in nearbys. Take the regional train FR1 to Trastevere Station. At the exit of the station on the left you will find the stop of tram n°8 (direction Piazza Venezia), get off after 5 stops in Piazza Mastai where, crossing the road Viale Trastevere, you will find Via Cardinale Merry del Val and our Relais. FR1 is a regional train stopping at various places, leaving every 15 minutes on working days and every 30 minutes on Sundays and holidays. The price of a single ride ticket is € 8,00 (valid 90 minutes from validation). Taking one of the shuttle buses Terravision or Sitbusshuttle go to Termini station. In front of the station, in Piazza dei Cinquecento, you will find the stop of bus “H”; after 6 stops get off at SONNINO/SAN GALLICANO stop. Keep walking for about 300 metres and turn right on Via Cardinale Merry del Val. The shuttle buses Terravision and Sitbusshuttle are the cheapest and fastest connections to Ciampino Airport, at the rate of € 4,00, single ride ticket. For more information, visit their official websites. In front of the station, in Piazza dei Cinquecento, you will find the stop of bus “H”; after 6 stops get off at SONNINO/SAN GALLICANO stop, keep walking for about 300 metres and turn right on Via Cardinale Merry del Val. Take the B Metro line direction Laurentina and get off at Termini Station. In front of the station, in Piazza dei Cinquecento, you will find the stop of bus “H”; after 6 stops get off at SONNINO/SAN GALLICANO stop, keep walking for about 300 metres and turn right on Via Cardinale Merry del Val. Take the B Metro line direction Rebibbia and get off at Termini Station. In front of the station, in Piazza dei Cinquecento, you will find the stop of bus “H”; after 6 stops get off at SONNINO/SAN GALLICANO stop, keep walking for about 300 metres and turn right on Via Cardinale Merry del Val. From Civitavecchia Port go to the train station. Take the regional train FR5 to Rome and get off at Termini Station. In front of the station, in Piazza dei Cinquecento, you will find the stop of bus “H”; after 6 stops get off at SONNINO/SAN GALLICANO stop, keep walking for about 300 metres and turn right on Via Cardinale Merry del Val. If you wish to get a taxi, we recommend to only use the official white taxis belonging to Rome’s municipality. 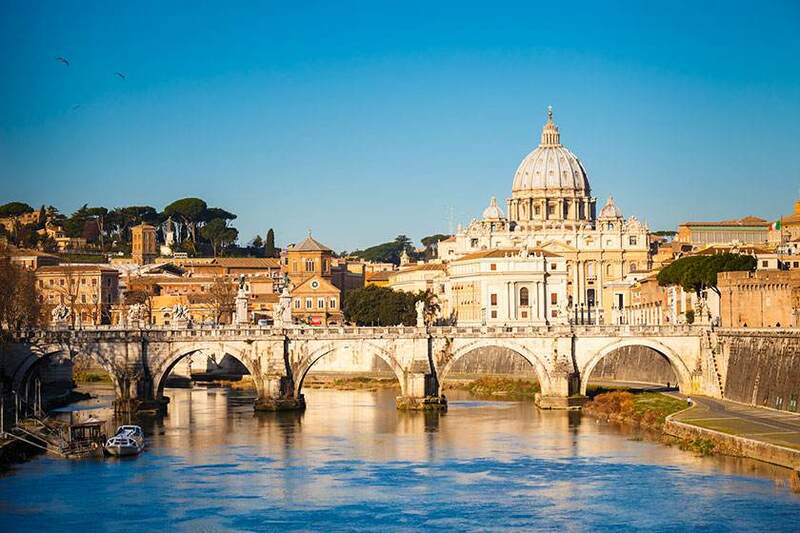 Relais Le Clarisse can be swiftly reached from Rome’s airports, Fiumicino and Ciampino, Ostiense and Tiburtina rail stations and the Port of Civitavecchia. For a comfortable and relaxed transfer please use our private service. All our vehicles are luxury Mercedes and our drivers are very reliable and professional. Rates as shown with no surcharges for luggage with cash payment made to the driver on arrival. A € 10,00 nightly surcharge will be applied for transfer services performed from 11:00 pm to 06:00 am.